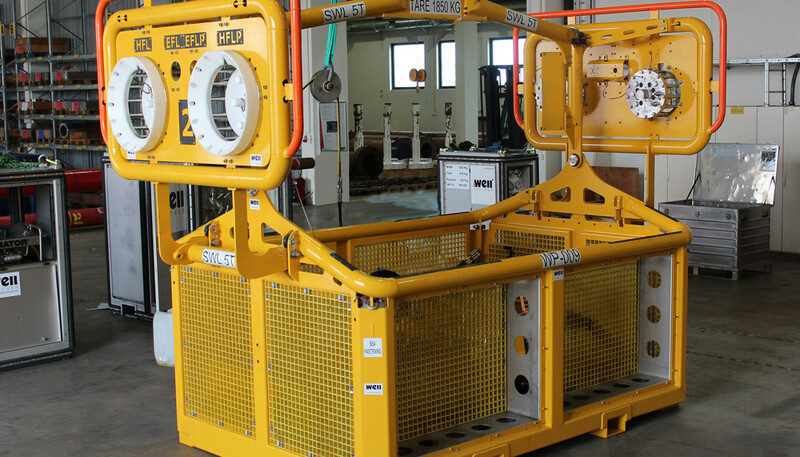 The purpose of the basket is to deploy and retrieve the subsea Horizontal X-mas Tree umbilical systems avoiding any interfacing to the Subsea drilling BOP. The system can be fitted to any subsea supplier umbilical system configuration. The SDB system replaces complex and costly umbilical disconnect systems (UDF).